WASHINGTON, DC – The U.S. Lumber Coalition Comments says the U.S.-Canada Softwood Lumber Agreement, which expired October 12, 2015, is due for a rewrite after nine years. “World timber and lumber markets have evolved and the 2006 agreement is now outdated,” says Charlie Thomas, Chairman of the Coalition and VP of Shuqualak Lumber Company in Shuqualak, MS. Thomas says the coalition intends “to continue working with the U.S. Government to reach a new agreement that will resolve this issue effectively in the future.” Although a new agreement would provide stability and predictability to industries and consumers on both sides of the border, the Canadian government has so far been unwilling to enter into negotiations on a new trade agreement, according to Thomas. Oct 12 U.S. lumber futures jumped 4 percent to their highest levels in a month on Monday as inventories of the building material ran low and a nearly decade-old trade deal with Canada expired, traders and analysts said. Investors and wood users who bet on lower lumber prices following the expiration this week of the 2006 Softwood Lumber Agreement between the United States and Canada have been covering their short positions – in both physical supplies and futures. The trade deal, known as SLA, taxed lumber exported from western Canada into the United States. The exports were taxed at escalating rates as cash timber prices declined, making the Canadian wood more competitive with pricier supplies produced by U.S. saw mills. With the Canada-U.S. softwood lumber agreement set to expire tomorrow, analysts are warning the industry needs to prepare for risk. Naomi Christensen of the Canada West Foundation says the best way Canada can do that is to bulk up it’s roster of trading partners. “To continue diversification. There’s been a lot of focus on China in the last decade, which is great because we are selling a lot to China. B.C. sells the most to all the provinces. But there are some other markets like Vietnam, Thailand, Indonesia as well.” Christensen says with a softwood deal off the table – Canadian lumber producers will likely soon be butting heads with their U.S. counterparts. VANCOUVER, – The BC Lumber Trade Council is urging the federal government to engage with the U.S. government to determine a way forward following the expiration of the Canada-U.S. Softwood Lumber Agreement. 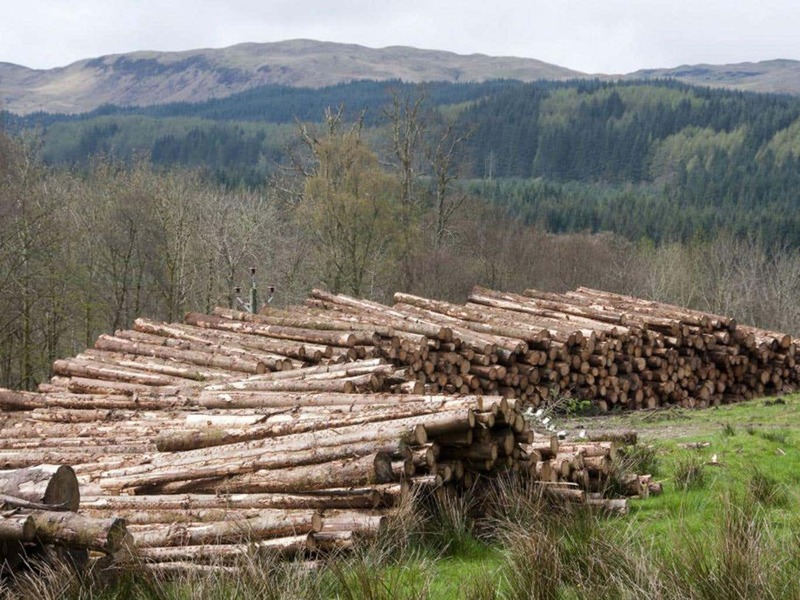 … “It is important for governments on both sides of the border to take steps to avoid another lengthy and unnecessary trade dispute in softwood. In the past, these disputes have created uncertainty, hurt consumers and producers, and impeded the growth of the North American market,” said Susan Yurkovich, president of the BC Lumber Trade Council. BC companies that want to be big in Japan are expecting the Trans-Pacific Partnership (TPP) to provide a boost. …The Canadian Press reported in July that Japan had been pushing for Canada to relax restrictions of raw log exports in return for lower tariffs on wood imports. In B.C., log exports have been controlled in an attempt to maintain a steady supply for local sawmills. But it is the B.C. government’s understanding that although wood product tariffs have been lowered, log export restrictions have not been affected by the trade deal, according to a response to a query from Business in Vancouver to B.C.’s Ministryof International Trade. The full details of the agreement have not yet been released. The Trans-Pacific Partnership agreement doesn’t resolve Canada’s long-running dispute with the United States over softwood lumber, or remove restrictions on log exports from B.C. Prime Minister Stephen Harper said Friday the Canadian government would like to renew the Canada-U.S. softwood agreement, expired as of Thanksgiving Day. It’s a side deal outside the North American Free Trade Agreement, and it won’t be covered by the proposed TPP deal either. “Obviously we would like to see this agreement move forward, and I think industry on both sides of the border would, but for reasons that were not entirely clear, the American administration hasn’t seen it that way,” Harper said in an interview with Black Press. 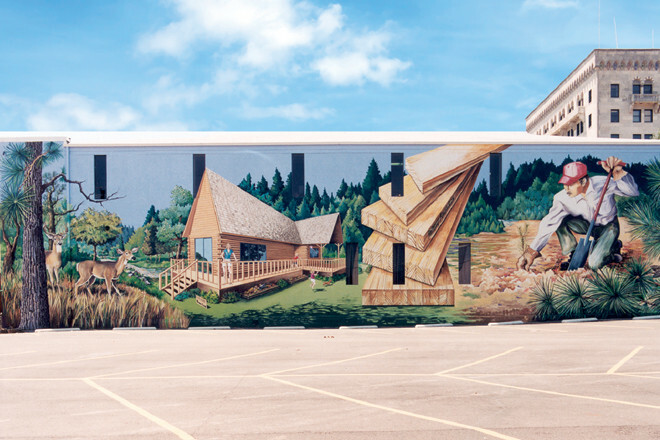 When the former Marathon Pulp Inc. is demolished, it will bring to an end the era of another northern Ontario employer — but also make way for new opportunities. 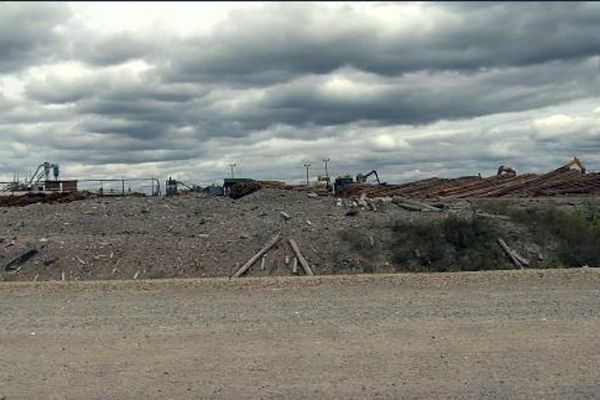 The demolition will allow the town to market the property, and attract a new industry to the former pulp mill site. For Stan Johnson, who worked at the mill, and who is now documenting the demolition, it’s hard to watch the backbone of the community crumble… Johnson said he believes new industry will come to Marathon, as the site and deep water port is “too good” to be ignored by business. 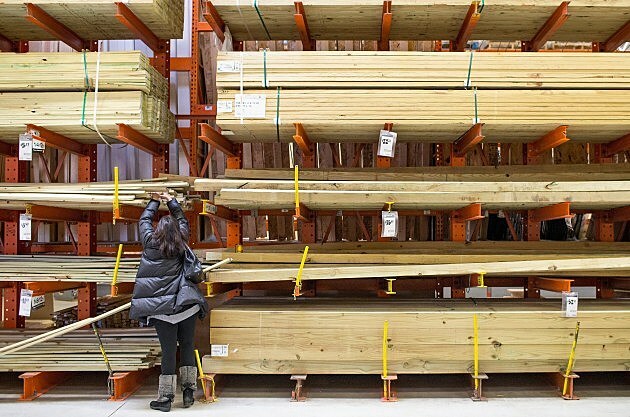 As the housing recovery has taken hold, demand for lumber and building materials has also lifted. However, since the downturn, the industry has transformed in many ways that pre-2008 business models can no longer be employed without adjustment to the new reality. The importance of understanding these new dynamics at the channel level is needed to develop a winning strategy… Overall, 2014 was a noteworthy year for consolidation as large companies just keep getting bigger. Acquisitions and mergers that took place in 2014 occurred mostly to the east of the Mississippi River. There are no signs showing that this trend will slow, as the market is ripe for mergers and acquisitions. But the wood treatment plant left behind a poisonous legacy — creosote that soaked deep into the soil. Now the federal government is spending $92 million from a court settlement to clean up the damage and another $23 million to restore natural resources — but some in the predominantly black town of about 1,500 mostly low-income residents question spending so much money to fix the land and not the lives of the people who live on it. “Because right now we’re concentrating on the fish and the bugs and the birds, and all of that is good, but we are concerned about the humans that have been affected by this contaminant,” resident Ella Beatty said during a recent public meeting. 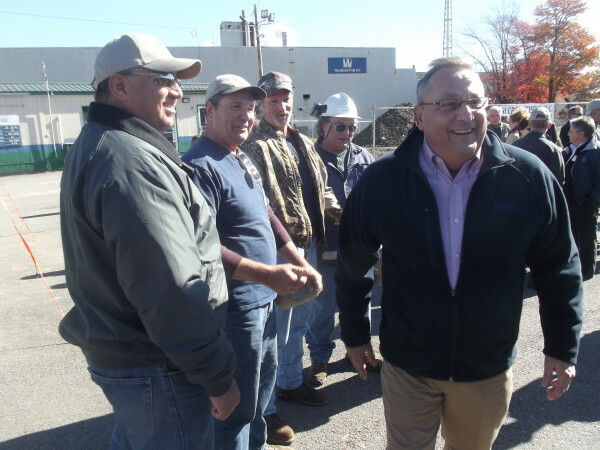 BAILEYVILLE, Maine — While the start-up of two new tissue paper machines has been put off by three months due to construction delays, the St. Croix Tissue Mill already has hired more than 70 new employees to run them, according to the company. Woodland Pulp, an affiliate of St. Croix Tissue, had announced in March 2014 that it was adding two tissue machines and 80 jobs in a $120 million expansion at its pulp mill in Baileyville, located along the border of New Brunswick, Canada… Despite the delay, the spokesperson said, Woodland Pulp had hired a total of 71 new employees as of Aug. 24 to run the tissue mills. 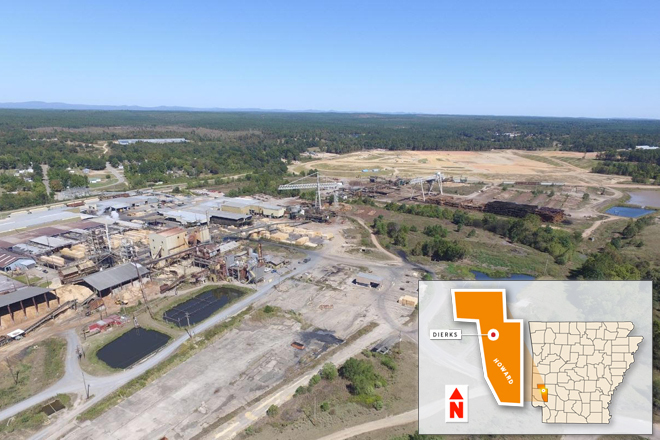 One of the oldest sawmill operations in the state is undergoing a $190 million rebirth at its historic southwest Arkansas home. Site preparation for the new Weyerhaeuser complex at Dierks (Howard County) is winding down as the project shifts into a new phase of construction. “We’re in the process of setting up the concrete batch plant,” said Scott Copas, president and CEO of Little Rock’s Baldwin & Shell Construction Co. “We’ll be starting work toward the end of the month.” The new facility will have an annual production capacity of 387 million board feet, 25 percent more than current capabilities. ….Loggers are generally seen as a primary factor for why wood costs in Maine are higher than in other areas of the country. But this really isn’t the case. The rates loggers are paid to deliver wood from stump to roadside have largely remained the same for the past 15 years. Meanwhile, the costs associated with the logging process — fuel, equipment, parts, insurance — have increased exponentially. Yes, wood costs have increased, but it’s important to note that loggers aren’t responsible for this and, in fact, have been marginalized in the process. 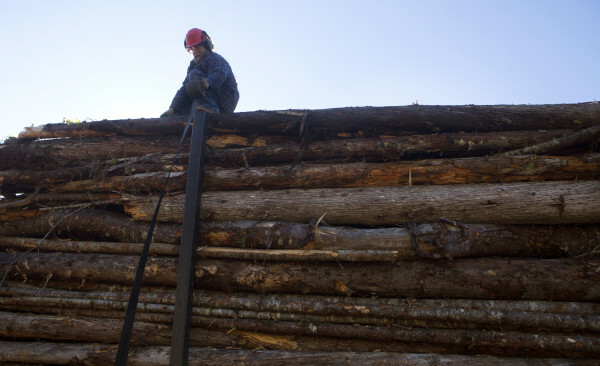 Just as mills have struggled to manage their rising expenses, so have loggers, and loggers are certainly not getting rich in the process — many are struggling. …1. Market access for Arkansas’ timber will be improved though joint recognition of all major forest certification systems (Sustainable Forestry Initiative, American Tree Farm System) by the U.S. Green Building Council, which now recognizes only the Forest Stewardship Council certification system. Recognizing the SFI and ATFS will allow more Arkansas timber to be used in LEED-certified construction and lower the cost of these programs to landowners. 2. Logging capacity in the state declined by some 25 percent from 2007 to 2013 and is slowly rebuilding. Existing logging firms need access to low-interest-rate guaranteed loans and support for training programs to develop a younger logging workforce that can take us well into the 21st century. The Forest Stewardship Council (FSC) plans to more than double its share of global forest-based trade from 10 to 20 per cent by 2020, drastically increasing the market for sustainably certified timber. In a document setting out its strategic plan for the next five years, the FSC today says it wants to focus on increasing the supply of FSC-certified products from tropical countries. The group, which manages the popular sustainability label, also announced plans to strengthen its certification system and better ensure suppliers signed up to the scheme are embracing environmental best practices. “The demands on forests are only going to increase – possibly tripling by 2050 according to WWF – and FSC needs to take a leading role in shifting the global forest trend toward sustainable use, conservation, restoration, and respect for all,” said FSC director general Kim Carstensen, in a statement. In the first 8 month of 2015 Russia exported less logs and more sawn timber than in the respective period of last year. These conclusions may be drawn based on the statistical data provided by the Russian Federal Customs Service. Thus, for the indicated period Russia exported 12.072 million m3 of logs, having reduced exports in volume by 9.88% year on year. In value terms, Russian log exports decreased more significantly: from $1.175 billion in the first eight months of 2015 to $867.2 million in Jan-Aug 2015, or by 26.22%. Russian lumber export dynamics for the above mentioned period was slightly different. A moderate increase in volume terms was observed. The winning pavilion of the chicago lakefront kiosk competition has opened on the shores lake michigan. the contest saw a total of 421 entries from over 40 countries, with rhode island-based studio ultramoderne selected to realize their ‘chicago horizon’ design. as well as providing shelter, the pavilion houses a food and beverage vendor, creating a new public space along the city’s waterfront. the pavilion is located on the shores of lake michigan. 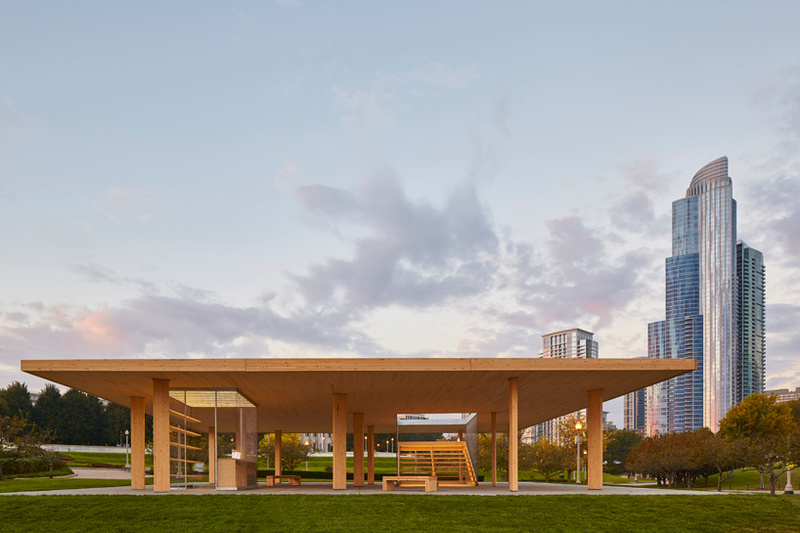 Influenced by two chicago prototypes… the pavilion uses cross-laminated timber to build an expansive canopy supported by a series of slender columns. ‘the design for the kiosk became a quest to create the largest wood roof possible — to demarcate a zone of the city for all to enjoy,’ explains ultramoderne. LOS ANGELES (AP) — Thousands of older wood and concrete apartment buildings vulnerable to collapse in a major earthquake would get costly upgrades under sweeping retrofitting rules passed Friday by the Los Angeles City Council. The mandate would affect as many as 13,500 so-called soft-first-story buildings, which are typically wood-frame structures with large spaces such as parking lots on the ground floor. As many as 1,500 brittle concrete buildings would also require upgrades. The measure passed on a 12-0 vote… Wood apartments will be given seven years to complete construction once an owner is ordered by the Department of Building and Safety to retrofit the building. Owners of brittle concrete buildings will have 25 years to do the work. 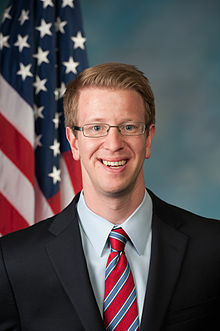 WASHINGTON, D.C. — U.S. Representative Derek Kilmer (WA-06) called on key agencies to increase their use of innovative building materials at federal construction sites. In a letter to the Secretaries of the Defense and Agriculture Departments, Kilmer asked for an update on report language he authored in an appropriations bill this year that directed the two agencies to work together to use materials such as Cross-Laminated Timber (CLT) more frequently. The use of CLT products could help reduce future building costs, improve environmental impact, strengthen structures in the face of seismic disturbances, and provide needed opportunities to strengthen our nation’s timber industry. Two-thirds of Chicago was constructed of wood when a devastating fire ripped through the city 144 years ago this week… The Great Chicago Fire also prompted new building codes in cities across the country that still hamper the widespread adoption of modern wood construction. But that’s beginning to change as recent research has found that new innovative heavy timber systems are, in fact, safe in fires. Moreover, these systems are environmentally friendly and can rise as high as 12 stories or more. Advocates of this high-tech wood construction, known as “mass timber,” are forcing regulators and owners in the United States to take the resurgence of timber-frame construction more seriously. 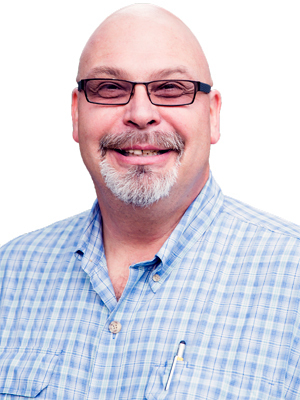 “This is the future of construction,” Robert Malczyk of Vancouver-based Equilibrium Consulting told us. We are on the cusp of a major change in Australian construction. With public comment period now closed, industry insiders report great confidence that the Australian Building Codes Board will adopt a new voluntary deemed-to-satisfy (DTS) solution in the BCA for timber building systems in apartment, hotel and office buildings up to 25 metres in effective height (approximately eight storeys). The proposed solution, consisting of the use of appropriate layers of fire resistant plasterboard and sprinklers, will cover both timber framing and massive timber systems. Timber building systems are currently restricted to three storeys. So why is this important? The UK’s first prefabricated party wall system has become one of the first six projects to receive investment funding from the Construction Scotland Innovation Centre. The patented timber frame wall system is the brainchild of Aberdeen-based Stewart Milne Timber Systems, which will receive almost £100,000 of funding from the CSIC to help bring the product through the industrial research and development stage and onto the market. Glasgow Caledonian University and Edinburgh Napier University will contribute to product design and performance validation in a laboratory and site environment to analyse the product’s structural, acoustic, fire and thermal performance. Scientists are becoming increasingly concerned about the fate of the huge boreal forest that spans from Scandinavia to northern Canada. Unprecedented warming in the region is jeopardizing the future of a critical ecosystem that makes up nearly a third of the earth’s forest cover. But Dennis Murray, a professor of ecology at Trent University in Peterborough, Ontario, thinks the dying moose of Minnesota and New Hampshire and elsewhere are one symptom of something far bigger – a giant forest ecosystem that is rapidly shrinking, dying, and otherwise changing. “The boreal forest is breaking apart,” he says. “The question is what will replace it?” Many scientists, in fact, are deeply concerned about the state of the world’s largest forest. The Arctic and the boreal region are warming twice as fast as other parts of the world. Permafrost is thawing and even burning, fires are burning unprecedented acres of forest, and insect outbreaks have gobbled up increasing numbers of trees. Climate zones are moving north ten times faster than forests can migrate. VICTORIA – ‘Namgis First Nation will see benefits from proposed treaty lands early, thanks to an innovative agreement that supports both reconciliation with ‘Namgis and forestry operations on northern Vancouver Island. The Province of British Columbia and ‘Namgis (pronounced Num-gees) have signed a Forestry Fund Agreement, which provides the First Nation with annual economic benefits based on timber harvesting within two Tree Farm Licences (TFLs) held by Western Forest Products. The agreement is the first in B.C. to transfer resource economic benefits from proposed treaty settlement lands, and is a result of collaborative efforts by the Province, ‘Namgis and Western Forest Products to balance the rights of forest tenure holders, while advancing reconciliation with ‘Namgis First Nation. The president of the UNB Woodsmens Team is busy getting the teams ready for the first competition of the season, the 50th annual UNB Woodsmen Competition. 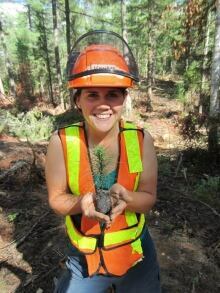 Kendra King says she’s not a stereotypical woodsmen but adds lumberjills are becoming more common across the country. Still, she admits most people are puzzled when she tells them what she does. “They usually don’t know what I’m talking about. Then I tell them we compete in lumberjack sports and they’re even more bewildered.” King competes with the fourth ranked UNB Woodsmens women’s team. The team is made up of six members and each on has to compete in four of the six team events. I wish I could write an ode to tepee burners, logging trucks, sawmills and jobs. Luckily when my daughter decided to go to university, we had several sawmills in Missoula. During the summer she worked the night shift at Intermountain Lumber Co. earning enough money to pay for her education, graduating in four years with two degrees and no student debt. Today we have little or no logging due to lawsuits filed to protect animal corridors. As the forests burn up, do you hear any environmentalist wailing about the loss of corridors and the safety of the animals? Have you heard any dire predictors about the carbon the fires are putting into the atmosphere? What the carbon is doing to our babies, young people, breathing impaired people and the general population? Though the smoke has cleared from Montana’s skies, we’re far from extinguishing another major problem facing our forests: the crisis of how we pay for fighting forest fires while continuing to fund essential U.S. Forest Service programs that sustain Montana’s outdoor way of life and our outdoor economy. Instead of focusing his energy on a common-sense solution to this Montana crisis, U.S. Sen. Steve Daines is playing political games in Washington, D.C. by supporting the Resilient Federal Forest Act (HR 2647) as the cure-all to our nation’s wildfire problem. This top-down, non-collaborative approach to forest management – authored by a freshman Arkansas congressman – not only fails to address out-of-control wildfire spending, it also undermines bedrock conservation laws and limits opportunities for the public to have a say in the future of its forests. BILLINGS, Mont. (AP) — A federal judge has approved a settlement between state officials and three conservation groups that allows logging projects in northwest Montana to move forward with added protections for grizzly bears. U.S. District Judge Donald Molloy on Friday lifted a 2014 injunction that had barred logging on portions of the Stillwater and Coal Creek state forests. The settlement prohibits permanent roads within seven “security zones” encompassing 34 square miles. Logging and motorized vehicle use will be allowed only when bears are denning for winter. U.S. Forest Service Chief Tom Tidwell was in front of the House Agriculture Subcommittee on Conservation and Forestry last week and blew the phony “litigation is stopping logging” myth out of the water. The truth, he told Congress, is that only 5 percent of the nation’s logging proposals are being litigated, adding that the Forest Service expects to meet 97 percent of its timber production for this year. But while Tidwell was letting Congress in on the truth, Montanans are subjected to the never-ending chorus of high-pitched whining from most of our politicians and both political parties claiming “serial litigators” were responsible for “shutting down logging” on our national forests. SEATTLE – The U.S. Forest Service wants more controlled burns in Washington forests to help make them more resistant to summer wildfires. But The Seattle Times reports rules administered by the state Department of Natural Resources are a roadblock to this fire prevention approach in Washington. Controlled burns are endorsed by scientists as an important tool for keeping forests healthier and less susceptible to devastating wildfires. “It’s a very low-risk kind of policy where they’re very averse to putting fire on the landscape. Consequently, it’s been very hard to get the burning done,” said Rick Graw, a Forest Service air quality manager for the Pacific Northwest region. The Wallowa-Whitman National Forest is proposing one of its bigger timber sales in the past 25 years. The East Face project is on the east slopes of the northern Elkhorn Mountains, mainly from the Anthony Lakes Highway north toward Ladd Canyon and the Grande Ronde Valley. It includes about 48,000 acres of public land, mostly national forest, with about 1,200 acres of BLM ground. According to the 293-page environmental assessment the Forest Service released Wednesday, the East Face project is designed to reduce the risk of large wildfires in the area and to begin to restore forests that have been harmed by past logging and many decades of fire suppression. WUHAN — China’s forestry tourism has seen rapid growth with huge potential in the future, said a senior forestry official on Saturday. The comprehensive output value of the country’s forestry tourism reached 650 billion yuan (103 billion U.S. dollars) in 2014, accounting for one fifth of the country’s tourism revenue, said Zhang Yongli, deputy head of the State Forestry Administration. The rapid development of the forestry tourism sector shows its huge potential and wide prospects, he said at the opening of the country’s forestry tourism festival held in central Wuhan city. 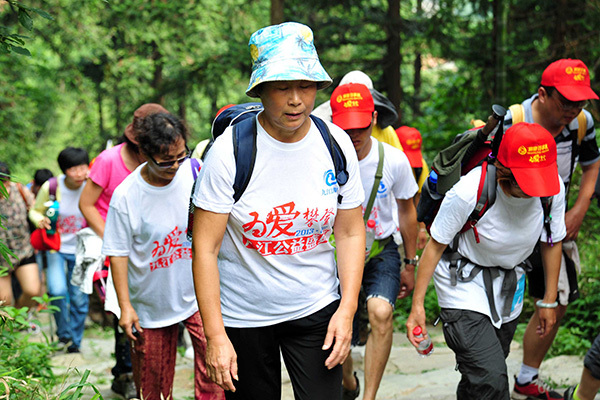 Visiting forests for a breath of fresh air and relaxation has become increasingly popular among China’s urban dwellers. A private forestry consultant says a state government measure to streamline red tape around the harvest of trees has had the opposite effect, and is proving costly and time-consuming for landholders. Sean Ryan says requirements to survey for protected plants are onerous and expensive (ABC Rural) The Newman Government introduced the Protected Plants Flora Survey Trigger Map as part of changes to the Nature Conservation Act in 2014. It shows high-risk areas for protected plants and was designed to simplify the process for determining if a flora survey was necessary to clear land. 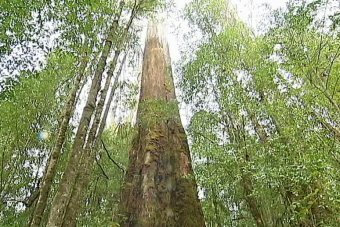 But Private Forestry Service Queensland executive officer Sean Ryan said the system was onerous, and could cost land holders thousands of dollars looking for plants that might not even be there. Gross fellings is expected to decline marginally according to forecast by Swedish Forest Agency According to the forecast from the Swedish Forest Agency the gross fellings in the year 2015 is estimated to 91 million cubic metre standing volume (stem volume over bark from stump to tip). There is a small decrease compared with 2014, as Swedish Forest Agency said in the press release received by Lesprom Network. The estimates are based on industry’s production of soft sawnwood and wood pulp. The consumption of roundwood is estimated with the help of ratio for roundwood equivalent for the products. On the eve of the UN climate summit in Paris, all delegates would be well advised to reflect on how the story of man-made global warming debate started. Svante Arrhenius, winner of the 1905 Nobel Prize, hypothesized over a century ago that increases in atmospheric carbon dioxide (CO2) due to fossil fuel consumption would warm the world… Remarkably, proponents of the notion that global warming would be catastrophic unless CO2 emissions are curtailed drastically (or, in short, “warmists,”) embrace the first, but ignore the second hypothesis. “Remarkably,” because both satellite and ground based data confirm that the biosphere’s productivity has increased in managed ecosystems (e.g., agriculture and managed forests) and in unmanaged or natural ecosystems.